Equicizer is excited to announce we are now on Pinterest and Instagram in addition to our already existing Twitter, Facebook, and YouTube! Follow us to get all the latest news from Equicizer, and don’t forget to tag us and use #Equicizer. Links to all our social media can be accessed by clicking the icons below or using the icons at the bottom of this newsletter. 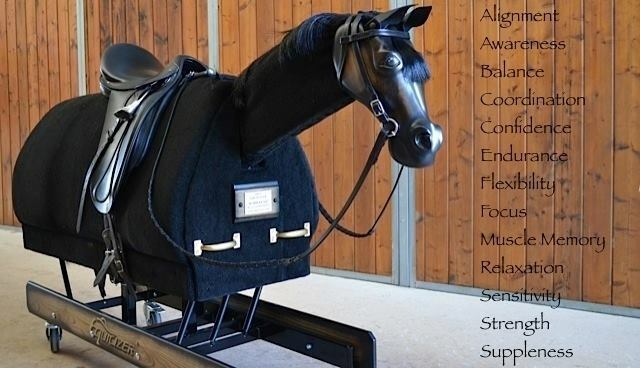 Equestrian Biomechanics & Fitness Expert, Heather Sansom, has created 30 exercises that are specifically designed for people to use with the Equicizer. Now in a smartphone friendly format, one of these exercises will be posted weekly to our social media pages. If you wish to see all the exercises before they reach social media, visit the Equestrian Exercise Tab of our website. Check out these home exercises Heather has created, along with their detailed descriptions and pictures demonstrating each exercise. No matter how you ride your Equicizer, you are sure to find some cool tips and ideas for exercising with your Equicizer. Below is a sneak peak of what will soon be on social media! 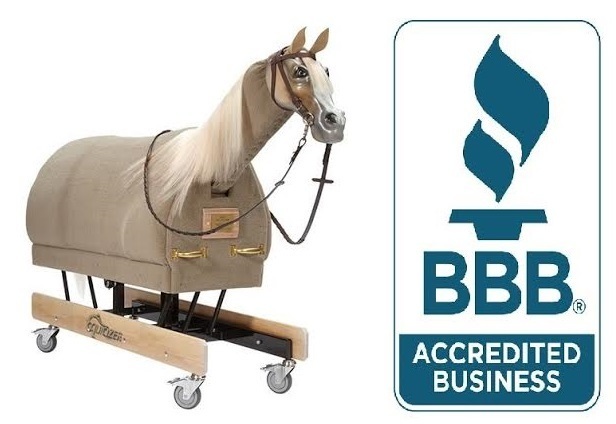 Wooden Horse Corporation and the Equicizer are now proud accredited members of the Better Business Bureau (BBB) with having an A+ rating! A must see Equicizer video made by one of our customers and certified Equine Canada instructor, Val from Luna's Equine Designs! Riding Instructor Kathy Graber from Bear Creek Bluff Ranch in Austin, TX USA recently donated riding lessons on her Equicizer to a benefit auction with proceeds going to Michael Vermaas, a trainer who was in a life threatening freak horse accident. Its so great to see people doing awesome things with their Equicizers! 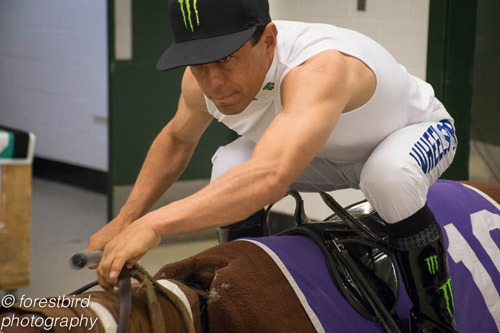 For your chance to be featured in our next newsletter, tag us in your Equicizer posts. Feel free to share our newsletter with your friends!